The Windows Phone Store has always been one of the number one things that people point to when talking about the limitations of the platform. 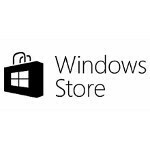 As far as features go, Windows Phone does well, and has quite a lot to offer, but the Windows Phone Store has been lagging behind both in apps available and regions from which the store is accessible. Well, Microsoft is trying to catch up a bit more by expanding the store to 42 new markets. The markets added are: Angola, Armenia, Bahrain, Bangladesh, Benin, Bolivia, Burkina Faso, Burundi, Cameroon, Chad, Congo (DRC), Dominican Republic, El Salvador, Guinea, Haiti, Honduras, Kenya, Liechtenstein, Madagascar, Malawi, Malaysia, Mali, Mozambique, Nicaragua, Niger, Pakistan, Paraguay, Qatar, Rwanda, Saudi Arabia, Senegal, Sierra Leone, Somalia, Tajikistan, Tanzania, Togo, Turkmenistan, United Arab Emirates, Uganda, Yemen, Zambia, and Zimbabwe. drahmad, why are you talking unnecessarily? India already has wp market. i know, but the only explanation to that red thumb is India. I almost bought the Lumia 800 but after knowing that it won't be updated to wp 8, ended up buying a high end HTC android and never regretted that. Now that the wp store is available in my country I am tempted to buy the new Lumia or HTC wp8 phones. Just wondering whether this os is similar to iOS or not. Last time I used iOS I couldn't helped hating it. My daughter now use the iOS device as her mp3 player. The OS is unique amongst the rest, it shares a few similarities to both of the other platforms, but has ways that it completely sets itself apart. As far as whether you like it, you would have to try it out for yourself. People spend all this time arguing which platform is better than which, when the truth is... its all preference. While I personally prefer the WP8 platform, each is fantastic in its own way. Yahoo. It has reached my country. But sadly no windows phones has officially reached here. i just wanted to know is it just for wp8 or wp7 too? where can i find if Lebanon is among the countries that have a windows phone market? ?